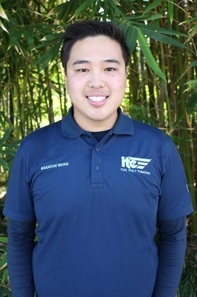 The November-December Spotlight was written by Brandon Wong, Student Chapter Liaison of the Riverside/San Bernardino ITE Section and Past President of the Cal Poly Pomona ITE Student Chapter. The Cal Poly Pomona ITE Student Chapter provides opportunities for students and faculty to enhance their engineering experience through guest speakers, technical tours, conferences, outreach and more. The general meetings are held biweekly during the fall, winter, and spring quarters on Thursdays. The Chapter welcomes all students and professionals to their meetings. If you’re ever in the area and would like to check out a general meeting, feel free to contact the current officers here: www.itecpp.com/executive-board.html . 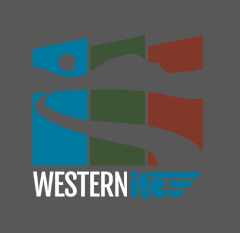 The annual Western District ITE Data Collection Fund provides students an opportunity to request funding for a data collection proposal. This program is great exposure to students on how projects are usually bid on. The Chapter was fortunate to be a recipient of the Fund in 2012 with the abstract submittal, Parking Demand Observations for Transit Oriented Developments. The Fund has also waived ITE dues and subsidized Western District ITE Annual Meeting student rates. This allowed Cal Poly Pomona to send 21 students to Las Vegas for the 2015 Annual Meeting, where the Chapter received the Student Chapter Annual Meeting Award and Honorable Mention Student Chapter Award. To help fundraise for the Student Endowment Fund at the 2015 Annual Meeting, students were asked to sell scratcher tickets for prizes. Students from Cal Poly Pomona and other universities were able to get some really good networking opportunities in. Who knew fundraising was so easy! More programs like the Student Endowment Fund are the way to enrich students with resources. It has been a great help to the Cal Poly Pomona ITE Student Chapter, and we continue to support its goal to reach $500,000 to be self-sustaining enough to generate annual revenue to support student initiatives. On the weekend of January 22-24, 2016, keep your calendars open. Cal Poly Pomona will be hosting the 2016 ITE Student Leadership Summit (SLS)! The planning committee is looking forward to share with the Western District ITE community a professional three-day leadership retreat with distinguished guest speakers and challenging activities with the purpose to engage all students to “find your inner leader.” Some highlights at the event include: vendor show, technical sessions and presentations, leadership development training, student leadership activity, dinner ceremony, and planned visits to Southern California points of interests. What makes this SLS more exciting is the attendance from the Western District ITE Board! They will be participating in different activities throughout the weekend, but also there to engage with the students. For more information on the 2016 SLS, please visit www.itecpp.com.